Already accounting for more than 34% of homebuyers, millennials are expected to form 20 million new households by 2025. That’s quite the impact. As this influential generation continues to purchase homes, it’s important for contractors to pay attention to their specific wants and needs. One of their primary requests, for example, is little to no maintenance, which can be easily achieved with vinyl siding. So how can contractors sell through to them? It starts with knowing how they get their information and understanding what helps them make a purchasing decision. In this post, we’ll highlight five tips to reach millennial homeowners to help you tap into this influential group of potential customers. Let’s get started. When you tell many millennials about a task, they may respond, “there’s an app for that.” According to a recent Google study, 87% of people have their smartphone by their side throughout the day, and 91% turn to their phone for ideas in the middle of a task. What does this mean for reaching millennial homeowners? Well, you can expect them to turn to their phones when seeking solutions for remodeling their house. You can reach them by first, ensuring your website is mobile-friendly and easy to navigate on any device. You should also make contact information easily accessible and update your Google listing. And finally, consider communicating with them via text message. According to a Gallup poll, 68% of millennials admit to texting “a lot” on a daily basis. They may be easier to reach and more responsive if you text them versus call them. More than 90% of Millennials report reading peer reviews before a purchase, according to an Adweek study. In addition, 77% of them trust reviews posted directly to company websites — and 97% trust reviews posted through third-party marketplaces. As you see, reviews and online reputation make a huge impact on millennials’ decisions to work with a contractor or purchase a product. Always respond to feedback, whether it’s positive or negative. Responses show that you’re paying attention and taking action. Encourage your best customers to write reviews on popular sites such as Facebook, Angie’s List, Yelp, and Google Review. Promote positive testimonials on social media feeds and on your website. Many millennials have specific requests when it comes to their homes. A common theme among these homeowners is the desire for low maintenance abodes. They love to repurpose and reuse furniture, but regular upkeep of their homes’ exterior is not on the millennials’ to-do list, which is likely a result of lower budgets and time constraints. Vinyl siding is the perfect exterior cladding to meet this request. Unlike other products, vinyl siding will never need painting or caulking, and can be cleaned with mild soap and water from a garden hose. Find out more millennial home preferences in our guide on Urban Living. Millennials are constantly seeking knowledge to inform their decisions. 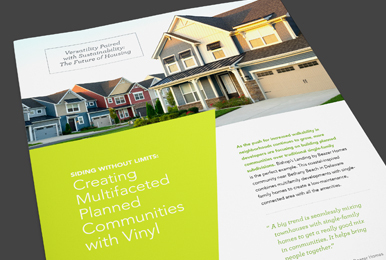 Contractors and manufacturers can utilize thought leadership through articles, blog posts, and videos to educate and engage homeowners on the benefits of vinyl siding. We’re hosting a social media bootcamp beginning in August to educate contractors on how to get more from their networks. Sign up today to take part in these interactive sessions. There’s a reason vintage goods and vinyl are making a strong comeback. Millennials care about quality and they’re one of the largest consumer groups in the marketplace. VSI Certified Installers should promote their training and what that means for quality when engaging with millennial homeowners. Focus on the importance of proper installation and the performance benefits of vinyl siding. Millennials also care about energy efficient products. Vinyl siding is a sustainable product that won’t harm the environment because it’s made of natural ingredients including 57% chlorine from common salt and 43% ethylene from natural gas. Utilize these tips to help increase success with millennial homeowners. Want more information on growing your vinyl siding installer business? Let us know what topics you’d like to learn about next. 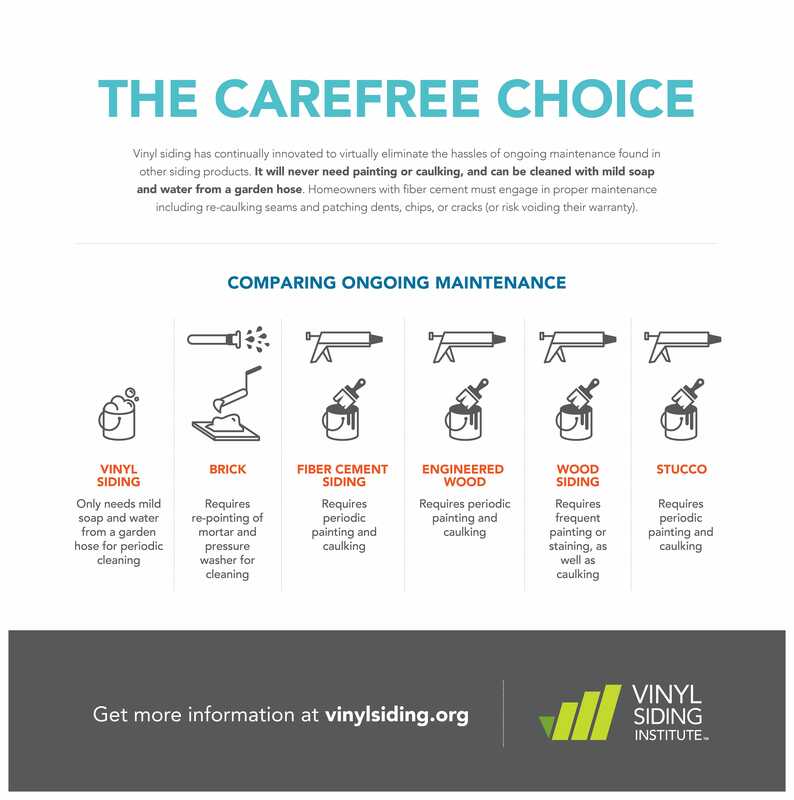 Reach out to us at hello@vinylsiding.org with your requests.